I cover the drugs making the news. In one of the last FDA emails of 2015, I learned that the U.S. Army received approval on December 23 of a oral dosage form of pyridostigmine bromide to protect soldiers against the nerve gas, Soman. The Army had also been the drug’s NDA sponsor when it was last approved in 2003 but the drug was discontinued for unexplained reasons. The drug was approved under the agency’s Animal Efficacy Rule. The rule allows animal experiments to serve as a surrogate for effectiveness in humans since clinical testing would be unethical. I contacted the U.S. Army’s Medical Research and Materiel Command’s press office for information on the new drug approval and a response is anticipated shortly. Soman is one of the most notorious nerve gases used in warfare, developed originally as an insecticide in Germany in 1944. Like other nerve gases, Soman inhibits enzymes called cholinesterases. These enzymes normally serve to degrade our important neurotransmitter, acetylcholine. The normal role of acetylcholine is to slow the heart and respiration, among other processes, as a modulator of the primary excitatory neurotransmitter, norepinephrine. But acetylcholine is also required for muscle contraction. Because Soman and other cholinesterase inhibitors prolong the action of acetylcholine, the nerve gas can cause convulsions and suppress breathing and heart rate. Pyridostigmine is initially something of a paradox in that it is also a cholinesterase inhibitor. But unlike Soman, it is reversible. Pyridostigmine prevents the enzyme from being irreversibly inhibited by Soman. But after exposure to the nerve gas, soldiers must also receive atropine (a blocker of acetylcholine) and pralidoxime, also called 2-PAM, which regenerates the cholinesterase enzyme. Pyridostigmine has been associated with Gulf War Syndrome in soldiers who served in the 1991 Gulf War. Military physicians prefer to use the terms “chronic multisymptom illness” or “undiagnosed illnesses” because symptoms vary widely: memory and concentration difficulties, widespread and unexplained pain, and gastrointestinal problems, among others. 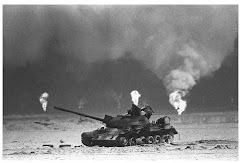 One hypothesis proposed by the Research Advisory Committee on Gulf War Veterans’ Illnesses is that some soldiers who took the drug as a preventative were also involved in spraying pesticides that kill insects by inhibiting their cholinesterase, but not ours. The concern is that when a soldier’s cholinesterase is already inhibited by the preventive pyridostigmine, it can no longer break down the pesticide. 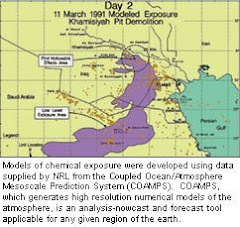 Therefore, research has focused on pesticide exposure as a cause of Gulf War Syndrome. Physician Harriet Hall discussed the clinical significance of pyridostigmine and pesticides in these illnesses in an excellent 2008 post at Science-Based Medicine. Why the Army sought and received approval for another form of pyridostigmine this year is unclear. At the time of this posting the FDA had no further information such as the approval letter or prescribing and labeling information that is commonly available the day most drugs receive approval (see below). We hope that more information will be forthcoming after the New Year, especially if the military are concerned about new risks of Soman exposure to soldiers. For more health and pharmaceutical news and commentary, follow me on Twitter @DavidKroll, or here at Forbes.com.